The note in the margin read ‘Do you mean, WITHOUT?’. I was met with a blank stare from my lecturer. I leafed through the Oxford English Dictionary, that great brick that my lecturer used to hold up pamphlets and paperbacks in a makeshift library on his desk. But the word wasn’t there. ‘Maybe it’s a Scottish word?’ He shrugged. I wasn’t expecting that, and I was shocked at how much it stung. I was proud of being one of the only Scots on campus, but I didn’t write like a Scot, that was ridiculous, I wrote properly. How could this be? How could I not know? I felt that my intellect had betrayed me. How could this word not be English? It wasn’t a word I associated with my scrappy childhood in Fife. Yet it was true. For everyone else around me, it didn’t exist. This word that seemed so proper, so apt, so wonderful in its perfectly encapsulation of the entire conceptual thrust of my dissertation was missing from the English language. ‘Then I feel sorry for you,’ I said. ‘It’s a great word and it’s exactly the one I need. I’m very careful to choose the perfect word from amongst all the possibilities and this is the only word that describes what I’m trying to say. To give him his credit, he agreed that the word was perfect and that I’d write a glossary at the back to explain the term to non-Scots speakers. Outwith. The concept of a point outside of the frame, outside of the lines, or outside of the received paradigm or definition of normality. That my very best English and grammar was and would always be outwith the norms of English speech, began to dawn on me. Folk would sometimes helpfully say, ‘The way you structure sentences is a bit odd… Did you know you often write as if things are still in the process of happening? You do an odd thing with tense, and an odd thing with subject – verb – object order, did you know that? No, I didn’t. I don’t. Kis thir ur hings ah just cannae and willnae evir see. Thitr ootwey ma kennin. Kis ah wisnae broucht up way Innlish is ma furst tongue, ah lernt it it aff ma teachers an aff the telly. Ah went tae skale in the eighties, in it yon time, thir wisnae a hing whaur we done grammar. Ye jist didnae. In thon deys, grammir wisnae the rage wi educationalists, the hinkin wis thit bairns learnt it natral like, off their maws in off their faimlies. It the skale we kent aboot daein wurds, in namin wurds, in describin words. We kent aw about spellin, in onomatopoeia, in metaphor, in similes in aw that. We kent about whit wurds tae pit in place ay the wurds we yaised it hame. Whit we didnae ken, wis whit it aw looked like, whit wis the muckle picture, an whaur we fittit intae thon. Whin ah wis seeventeen, ah met The Gael. Eh wis, it the time, the furst luv ay ma life. He wis bricht, braw, he wis it the University, in he wantit tae be a poet. Wurnae that many laddies ah kent thit wantit tae dae scrievin like ah did. Eh hud a sense ay hissel thit wis grand, an kent whae eh wis and whauraboots he wis fae. Oh, in it was braw in fair birled ma head and ma hairt. Mair thin braw tae him, his leid wis the maist important hing in ehs life. Ah envied thon. Ah wantit tae feel thon wey about masel in ma faimly in ken thit haein the things tae say that ah did, didnae mean thit ah wis stupit ir a scaff. Mebbes whit like he wis wid rub aff, an ah kid be masel weyoot whit wis fir me gauin by me. Ye didnae git intae Cambridge if ye wir fae ma skale wi a name like mines, ye widnae even git intae ony university if ye even spoke like ah did. Bit if ye wir a Gael, ye kid go tae University in speak the leid ay yir ain fowk, in get a degree in thon. Eh telt me Gaelic wis the language of poetry, o the soul of Scotland, o the land in the colours in the textures o this place. I began to learn Gàidhlig because I wanted to have the taste of the language so that I could fully know the man I fell in love with. I found words that explained sensations, textures and places I knew in my Fife landscape but didn’t have words to describe in Scots. ‘How can that be?’ I wondered. How can we have grown on this land and yet not had the word glas, a word that is as perfect a concept as ‘outwith’, a word that describes the quality of light, depth and the heathering of colours and light that you get through a misting or a deep greenish grey sea… a melancholy, a cold cosiness. It is often translated into English as the colour ‘grey’, but it’s not grey as we understand it, it’s not an objective state or a colour in terms of pigment. It’s more about a quality of light and the way it is diffused in a kinda opaque transparency – glas is better thought of as a texture, and it covers a spectrum of green-grey. I told the Gàidheal about how the Edinburgh folk called us Teuchters (or, Choochters) and walked him to my favourite place in Fife – Downing Point. It’s at the end of long walk along the shores of my river Forth, before they’d built all the footballers houses down there. The grass was springy with peat underfoot, and there were bits of dune that almost became like machair-land, and the whole place had a wildness and a contemplation to it in which I felt more at home than anywhere else in the world. I didn’t have the language to describe the complexity and differences I could see in this landscape, but I didn’t need to because he got it. He understood. So it hurt me to the core, when he said to me that us lowlanders had never spoken the Gàidhlig and that ours was the language of English. ‘Scots is a dialect of English,’ he said matter-of-factly. I bitterly disputed this, but had no learning with which to back it up. I was seventeen and he was a university student. He had a strong grasp on his home culture, mine was confused and polluted with negative associations, both twee and of class. I didn’t know back then that the marks in the caves at East Wemyss that I loved so much were Ogham inscriptions, or that linguistic scholars now believe that the reason Pictish language has not survived is that it was so similar to the Gàidhlig spoken by the clans from the West that when they became the kings of the whole of Alba for hundreds of years, the people of the lowlands probably just absorbed the tongue of the Gàidhealtachd, and certainly had spoken the Gàidhlig tongue for hundreds of years if not more. No one wrote down the language of the poor. The Gàidhlig was his from birth, but it was also mine. It is mine through my ancestors, it is mine through my blood and my land and in the rocks and the names of places still standing in Fife, all over Scotland. It just takes a little more work and a nurturing to revive it in me. Which oddly, is almost where I also find myself nowadays – with Scots. Ma mither leid. I was asked by a Norwegian national (an amazing woman who is a fluent Welsh speaker and recent learner of Sami, the language of her father’s inuit tribe) ‘Where in your body do your languages sit?’ She told me stories of elderly Welsh people who would make a gesture of a cupped and strangling hand over their mouth when asked where their Welsh was, representing the years of oppression of their native language. We agreed that English lived in the front of our heads. I always found it puzzling that it was so hard for me to express myself with a proper English grammar – the words and the ideas come easily, but the structure remains a mystery to me. Writing in English is a constant act of translation. With sadness, I recounted to her that my Scots is in the back and base of my spine. It’s deep within me at the core of my being and my memories, but it’s so long since I’ve had people to speak it with me on a day-to-day basis it’s become neglected, and to speak it I have to concentrate to free my memory and my muscles and channel it to my mouth. I have the best success at this when I’m emotional, drunk, or giddy with the flytin and the banterin o a faimly gaithrin. Twenty years ago the Gael broke up with me, and I broke up with Gàidhlig, and I didn’t think much more about it in the intervening years whilst I worked to acquire Polish, Italian, and Japanese. I always knew I’d wanted to raise my children bilingually and after marrying another monoglot speaker of the now-globally-dominant English, I had optimistically pinned my hopes on working really hard to brush up my French. Turns out it’s not as easy as that. Those of you who are linguists will already know this, but I discovered that unless you are fully ‘immersed’ in a language, a child (or to a lesser extent, an adult) cannot absorb the grammatical structures or enough vocabulary to ever be able to speak the language beyond the level of a three year old. That was about the level of my French, after learning it for four years at high school and dipping in and out of the language for 25 years hence. This should be quite a depressing thought for those of us who have visions of raising wonderfully competent speakers in ‘useful’ languages such as Mandarin or Arabic. For me, however, that realisation was a gift. Finally, I could be released. It didn’t matter how ‘useful’ either of the native languages of Scotland were, what mattered was that immersion was possible (for as long as the languages survive, at least). It wasn’t just a romantic or emotional notion that led me to decide to school my children in the language of Gàidhlig, it is an entirely practical notion too. My kids will have an opportunity I never had, to achieve a proper acquisition of a new second language because they will be immersed, every day of school, in Gàidhlig. They will acquire exceptional language skills, irrespective of the language we spoke at home. What a wonderful gift, and one I feel very grateful to be able to give them. What a wonderful thing to bestow upon the future generations of Scotland, the chance to develop a paradigm outwith the monoglot future of English language dominance, and the chance to absorb and nurture our native cultures and concepts which would otherwise disappear. My children won’t have the vacuum of language that I experienced whilst standing on Downing Point, they’ll have the words for the exact composition of the ground underfoot and the weather brewing. They’ll have 50 words for rain, 100 words for earth, and 1000 words for the concepts that are uniquely Scottish. Strategies for preserving the Gàidhlig language are streets ahead of those for Scots, so those of us who care about the Scots Leid would do well to get in about it and understand how we can apply some of that learning to revaluing the culture of Scots too. I don’t experience the languages as being mutually exclusive and I don’t see it as being an either / or choice. To think that Gàidhlig is being promoted at the expense of Scots is to look at the problem the wrong way, English is being promoted at the expense of Scots. In Ireland there’s a GaelSgoil in every town – there are only three Gàidheal-Sgoils in the whole of Scotland and no schools for Scots. We need more, and we need them both. We are lucky to have the Gàidheal Sgoil Taobh Na Pàirce around the corner from us in Leith, and it was parent pressure that succeeded in establishing the existing schools in Edinburgh, Glasgow and Sleat. I would love to encourage others to join together to campaign to establish Gàidhlig and Scots speaking schools across the rest of Scotland. Ma weans are gey spoilt wey thir Granny in thir Dey tae spraff wir Scots leid wey thim. Thir kennin ay ma leid ull no be dingied. Bit till thirs a wey ay learnin the Scots grammar in the skale, thirll be nae point in kiddin oan thit spraffin Innlish in the skale is goannae gie thir Scots a haun. If onyhing it’ll jist dae tae thaim whit it did tae me, skelp it oot the heid in doon intae a wee skelf ay yir spine. It’s been a bit of a revelation for me to read that Creative Scotland has a new Scots Language commitment, I’m heartened at the affirmation of ma mither leid, and I have hopes yet that more folk might come to value Scots language alongside Gàidhlig. There are Scots language courses beginning to spring up, and it’s astonishing how easy it is to learn a new language with the technology available these days. The husband and I are learning Gàidhlig together and what’s surprised me is the more I learn about Gàidhlig the more I’m learning about ma ain leid. Whilst Scots has evolved constantly Gåidhlig has been more preserved and it gives us a stronger sense of what the common ancestor languages of Scotland might have looked like. Linguists give tell that grammatical structures of a language remain as the oldest layers from previous languages and so Scots grammar could give clues to what the ancient languages across Scotland once were. Over the centuries, words in Scots have been loaned from many other languages, but the fact that its grammar is still distinct from English suggests its origin is different. Maybe it’s the human tendency to see connections but I keep finding resonances and grammatical patters that are familiar in Scots in the language of the Gàidhlteachd. Mind yersel in keep an eye oot fir thon if ye gie it a bash. Brilliant…thank you……at various points I thought it was masel that hud screeved this intricate landscape…. so many bells ringin. I had a similar comment from the regulator in regard to a submission in which outwith was the right word. They suggested without but backed down when I argued with them. It’s in Collins Dictionary (described as “mainly Scottish) – that’s the one I’ll be using in future! “Outwith ” is explained within my Chambers Dictionary . It is in our regular vocabulary here in Argyll . I never thought it anything but part of the English language . “Outwith” is in my copy of The Shorter Oxford English Dictionary, third edition,revised 1956. There is also a reference to “inwith”,which I cannot recall coming across before. Outwith is in my OED (CD-ROM v4.0, 2009). “Oxford English Dictionary, that great brick” – that’s the clue. That’ll be the Compact OED. The Shorter OED is two volumes and more comprehensive, but still only a snapshot of the full thing. The actual OED is 20 volumes long and most definitely includes ‘outwith’. Funny. I had the same experience earlier this week with outwith. I used it in an email and Outlook flagged it as a spelling error. What?! So I Googled it and all the online dictionaries say things like “chiefly Scottish”. Like you, this was news to me. Never realised where the troubles I had with that word came from. How come it had passed me by? Many years ago the Scotsman newspaper wrote an editorial on ‘outwith’ defending its usage. It did point out that it was most commonly used in Scotland than elsewhere but that did not negate its legitimacy as a proper word and appropriate term. In fact if I remember correctly they suggested that it should be more widely used beyond Scotland’s borders. I think the editorial was written as a response to a situation not too dissimilar to the one described here. Clearly on that occasion the sniffy putdown of the word ‘outwith’ had got up the editorial writer’s nose and he/she was perfectly placed to stage a defended of the word and its usage. I’ve used the word ‘outwith’ for yonks. I recall Dutch and Flemish colleagues also using the same word in academic papers written in English. Scots does not have a ‘standard’ in the way that English or Gaelic does. It’s not codified and standardised. My Aberdeenshire ‘Scots’ is different enough to your Fife(?) Scots that I can’t read the Scots parts of your article without tripping over words that seem ‘wrong’ to me. What’s more, in most cases Scots will exist on a spectrum with English, that is, your speech would involve more or less Scots admixture depending on who you’re speaking to. This means you can’t ‘teach’ Scots as a community language in the same way as a standardised language: there is no authority on the language, certainly no universally recognised one. Support for the language is all very well, but any kind of institutionalised version would inevitably veer into language construction. e.g. you can attempt to create a standard (good luck getting agreement!) and teach that, but what you’ll then be teaching is an ‘artificial’ language (like Hugh Macdiarmid’s ‘Lallans’). Which, of course, is exactly how a standardised language spreads to become a universal method of communication – all standards were artificial became they came into widespread use. But in the case of Scots I think a lot of people are under the impression that the language is ready to be ‘revived’ in the same way as Gaelic has been – and that’s just not the case unless you modify your idea of what you consider a ‘language’, or delve into the disputed field of where the boundary between ‘language’ and ‘dialect’ falls. Your comment seems to regard the fact that Scots has several dialects as a problem for teaching it that doesn’t exist in Gaelic. But I seem to recall that there were controversies about which was the ‘correct’ Gaelic to teach when it was first introduced as a formal subject in schools, and that there were mutterings of dissent and downright complaints about the form of the language that was accepted, with those from, for example, Harris and Lewis feeling miffed that the Skye form had come to dominate rather than their own. Yet the teaching of Gaelic as a subject, as well as a means by which other subjects is taught in Gaelic schools and Gaelic-language classes, is thriving. So why would teaching Scots be any different? One Scots dialect is not so different from another as to be completely mutually incomprehensible; there is more in common than difference. Surely it should be possible to teach an agreed ‘standard Scots’ for formal purposes, such as academic writing or speech on formal occasions, while recognising and incorporating whatever local dialect forms exist as the informal medium of the classroom and more social contexts? Children will easily understand the difference. After all, generations of Scots spoke and wrote in English at school, but used only Scots at home and among friends. Some of us, like me, grew up in an even more divergent context, speaking standard English at home (my mother was English) and to teachers, and — weirdly, in retrospect — replying to my school friends Scots in English. I understood the Scots perfectly, but often simply couldn’t reply in Scots because it sounded so odd with my English accent (that I never lost in all my years growing up here). To try to pronounce it with a Scottish accent could have sounded either patronising (given the class differences between me and most of my friends at the small rural school: one mother even told her child not to play with me because I was ‘posh’) plus our mutual awareness that Scots wasn’t considered the ‘right’ way to speak — how frighteningly soon kids pick up the idea that their native tongue is somehow inferior. Or I might have seemed like I was taking the piss, sneering at their accents. Alternatively I might simply have sounded just plain awful. If you’ve ever heard an English RP speaker attempt to say the fine Scots name, ‘Willie’, you’ll know what I mean. It just can’t be done. So we unconsciously evolved a simple solution: they’d speak to me in Scots, and I’d reply in English. So while they might say, “Gonnie gie’s a hurl oan yer bike?” I wouldn’t say, “Ay, but sees an no pit a ding in it” but “Yeah, just don’t dent it” or whatever. And so we’d have these dual-language conversations without any problems on either side. Yet, because I heard Scots all around me from the age of four I have always had many Scots words, expressions and, I’ve just discovered from this article, Scots grammatical structures too as part of my personal vocabulary. I regularly have to ask my English husband if what I’ve just said is an English expressiin or if I needed to translate it for him. I sometimes really don’t know if I’m speaking a (bowdlerised, not doubt) kind of Scots. Though my rather prim Scottish grannie carefully spoke only English (though even she’d ‘slip up’ sometimes) I as blessed with a Grandfather and a fine array of Great Aunts, Scottish to the core, who spoke Scots proudly and without hesitation, and rather despised my grandmother’s linguistic kowtowing to English. I learned nursery rhymes, listened to old Scots fairy tales, and ones they’d just made up, and sang songs with them in Scots. I was, in a word, immersed in the language. So it’s as a result of the redoubtable old patriots that the wee English lassie that I was still has Scots in my head and my mouth, including, yes, ‘outwith’, a word I associate with a slightly formal form of Scots whose use I think I picked up more from my teachers than from my friends. I am lucky enough to be old enough to have been taught by teachers who did use a form of standard Scots, in a formal and, it seemed to me, non-dialect way, and to have known an older generation who would do the same in a formal context, while speaking a more dialect form among themselves. They were both comfortable with and, I think, proud of their standard Scots, and delighted in their dialect words to. Most of them will be long dead by now, but it shouldn’t be impossible to unearth, from old texts or whatever, and agree upon a form of standard Scots. The only problem I can see is it being ‘hijacked’ by Edingurgh speakers, in the opinion of Glaswegians! just as Skye ‘hijacked’ the Gaelic language, giving precedence to their version, in the views of many on Harris and Lewis. I see know reason why we can’t work out and agree what counts as formal, standard Scots, whilst still valuing and encouraging — and, yes, teaching — local dialects, perhaps looking at how theses differ from other dialects farther away. Action is urgently needed if there are not to be more young men like my son-in-law who had his native language knocked out of him and have lost it almost completely. We deplore, rightly, the days when children were beaten for speaking Gaelic, with the result that the language nearly died. We revived Gaelic. Why not Scots too? My experience is very similar to Aileen’s. My mother was English, my father a Glaswegian and we lived in Glasgow. My mother frowned on ‘bad grammar’ so ‘Ah done it’ was out, as were glottal stops! So I functioned like Aileen, understanding what was said to me by schoolmates but replying in standard English. Thank you for pointing this out, Aileen! However, I realised over the years that my mother had picked up a lot of Scots lore and vocabulary from her Scottish mother-in-law: ‘come in ahint’ (from a poem about a dog, as I remember), ‘coorie doon’, etc. As for ‘outwith’: my father worked for British Railways where there was a system of grades until you got to the top and were ‘outwith’, short for ‘outwith the category’ (if my memory serves me right). Also like Aileen I too have friends who are ‘pure’ Scots but who know fewer Scots words than I, with my English mother, do. I agree and sometimes object to the acceptance of some ‘Southern’ Scots words as the standard when I use different words. When Italy unified in the 19th Century they had a similar problem and took, I believe, the Florentine Italian as the standard leaving the other Italian languages as ‘dialects’ despite their often distinct evolution. Over time much of the richness and diversity of their language (s) has been lost to all but those who try to keep it alive. As far as ‘outwith’ is concerned it has been a constant source of irritation when spellchecks continually try to ‘correct’ my use of the word. Microsoft please note! It is convention Fearghas but the point which Paul is making and which I agree with is while spoken Scots is fairly standard, written Scots is not and while English or Gaelic can result in 10 people writing more or less the same sentence, writing the same in Scots will result in 10 different versions of what sounds correct in that individual’s head, making any form of standardisation almost impossible, which is a prerequisite if you then wish to export it across the country or further for teaching purposes. To this end it has to remain a spoken form of communication only. I can’t see how Scots can be taught ‘actively’ as opposed to ‘passively’ (as poetry appreciation etc.) without some kind of standard, especially for writing. That is most folk need to have confidence that what they write is agreed to be ‘correct’, which is not to say that other versions and variations can’t exist. They are not ‘wrong’ but simply conscious deviations, artistic licence to suggest a particular time or place etc. This old chestnut again. Scots can be miraculously standardised in writing if people stopped spelling things by using the modern Southern English ways. It is already done by the very few writers out there and they haven’t invented anything. It is those who unwittingly spell with English that are writing in an artificial language. All that oan, joabs, stuff. Ghastly. These are new creations over the last few decades years. Scots already has form long in place. People simply aren’t aware other than not to use the apostrophe with things like o’. Understandable as Scots simply isn’t taught in schools like English. It is ironic that the detestation for Scots on this site is under the title “ootland”. That is bad Scots. There was no ‘oo’ found in Scots. That was a hallmark of Southern English. Not until English influence did oo enter Scots. The word in Scots is “outland”, as found in toun. It is never toon, which is again bad Scots. Same with Broun, which was a common Scots surname. You are spelling it ootland to also easily differentiate from English too. By using English ootland, you are making it English. Is Scots just English? No. Well use Scots then. No need for oo. Forget what they are doing. We don’t need to have a mess like door, poor, flood – all oo but different sounds. Once you get your head around that, then the same goes for many other things, and we will all write in the same clean Scots as before. BUT… BUT… it is the speech that is the most important. Not spelling. Speech must come first and be actively used along with an increase in vocabulary, phrases, etc. Spelling is frankly straightforward. Phonetic spelling gets my attention every time. It would make me very proud if it was ours. A journey many have taken. The language is buried pretty deep but I have always spoken to myself in the Scots I spoke as a boy in 1950s Dundee, in spite of working most of my life for an English organisation. It’s noticeable now though that much of the Scots written here and in previous Bella pieces is largely just the Scots pronunciation of English words, which I doubt is really Scots at all. The very rich vocabulary which was still in common use in the 1950s’ ‘toom’, ‘jonick’, ‘couthie’, ‘howff’, ‘dub’ ‘stoor’ and dozens of others, you rarely, or never, hear or read now. I agree Tam and a wisnae aroon in the 50s. We need to learn our leid and not bastardise the English language to make it sound as our own. The problem with this is that the Scots tongue has not really been recorded over the past few hundred years, what was is now lost and is getting worse. Interestingly ‘without’ in English used to carry the same meaning as ‘outwith’, as in the hymn that starts “There is a green hill far away without a city wall”. In Ireland, we speak Hiberno-English and are aware of how Gaeilge has twisted and turned the invader’s tongue so we could spit it back at them in fine version (hat-tip to Yeats, Wilde, Joyce and Beckett, among many others). It’s most evident in time, there’s no past-perfect in Irish, so you get phrases like “I’m after coming in” (Táim tar éis teacht isteach). This me, is the me that is after the me that was at the shops. Time is a constant. The working class variant – I done it, I seen it – is denounced as bad grammar, but should be seen as equally valid. But, it’s in emotions that we could learn most. In Irish, you “are” not an emotion, emotions are on you. I’m happy becomes Tá áthas orm – happiness is on me. It’s a very different way of looking at things. This, Donnacha, is what they should be teaching new adult learners of Gaelic! It’s why so many of us want to learn. We want to learn how to think, see and hear in a different way. Teaching us the days of the week, or so-called ‘practical’ phrases about the weather, or how to greet more than one person runs utterly counter to why I want to learn the language of my great-grandparents: so I can have a different perspective on the world. I want to see the world as glas, instead of the dull uniformity of grey. Teach us all the little phrases and expressions which are not just a translation of English. Give us all the different words that describe earth so we’ll see it differently when we see it. That’s what would get me excited about learning Gaelic again. I’ve tried twice by taking classes, and numerous times from CDs or whatever. But none of it was anything other than dull or pointless and I soon gave up. But learning how my ancestors felt, what colours they saw that we don’t. That would get me back in the classroom in a flesh. You probably need connected texts, and above all material that’s really worth reading, not just stuff made up for lessons or to demonstrate grammar points. The trouble is you still need to acquire the basics before you can begin to ‘decode’ literature. There are some approaches to language teaching that present the material ‘broadside on’ as it were. They just throw it all at you again and again and then gradually help you to make sense of it bit by bit. What sticks for one student in the first five minutes may not make sense to another for a month, everyone learns in their own way. That’s why traditional courses, whether the old-fashioned, “today we’ll do feminine plurals …” or the more trendy, “today we’ll do meeting people …”, equally leave many in the class bored and staring into space. However there’s no short cut, you just have to keep bashing on and trust that most of it will make sense eventually. Feel good when you understand something and don’t beat yourself up over the bits that pass you by. After all, do you always understand every word or expression you hear in English (or whatever your native language might be)? For a diverse selection of current material you could do worse than Google “tirnamblog”. Thanks for that explanation. My dad didn’t have much education in a mining area of Ayrshire in early 20th C and I presumed – now I see wrongly – was being sloppy in his language = I seen…. His father was Irish and he probably absorbed some Irish variants unconsciously. Alas long gone for me to discuss this with him. I was born and raised in S England and, although sympathetic, really struggle with Scots dialects, written and spoken now I live back in the ‘homeland’. My parents of the generation forbidden to use it at school and polite company so not much remained by the time I was born. I love words but feel rather old to take much in. Might sound daft in a southern accent anyway. Doh, “fine verse”, not “fine version”, which makes no sense. Building on the time element, some people might enjoy this: https://sites.google.com/site/onlymaybe/course-notes-and-syllabus/celtic-roots-of-quantum-theory (by the late great Robert Anton Wilson). ‘Outwith’ is in the 1971 complete OED and also the 1979 Concise OED. Both describe its use as ‘chiefly northern’ or ‘mainly Scottish’, with its first recorded use given as ca 1000. I’ve always taken a special delight in using it when I’m forced to go south of the border, just to provoke. There were different forms of Gaelic too, spoken in different areas. Maybe still are to some extent. Great stuff Laura – Recently noticed we’ve got plenty ‘splits’ in the dictionary, bit nae split-new(s), so common in our everyday speech, certainly here in West Lothian. I presume it comes from the whiteness of a split clug. ‘Brammer’ was as common as ringworm an scarlet fever in the Post Second World War era. Anybody know it’s derivation? Excuse the suggestion, but does it have anything to do with farting? I have nothing more concrete to base this on, but I’ve always thought it was inspired by the Bramah lock, which was the pinnacle of lock-making and thought of as un-pickable for nearly 70 years (1784-1851). Wonderful piece of writing! Thank you. I tutor a web based course on basic English grammar. The college is based in California. It attracts students from all over the world. I frequently use words such as outwith. No-one has misunderstood me, whether from the US of A or India or China. Or maybe they’re too polite to contradict me 🙂 Technically speaking, because based in the States, US grammar and vocabulary prevails, but what the hell. International students appreciate the need to be understood in multiple localities. Your tutor needs to tak a birl and look at himself. To anyone in Scotland, without and outwith have different meanings. I grew up grinding my teeth at “There was a green hill far away…” despite being taught formal.english.grammar at school in the sixties. Don’t most people in Scotland speak two languages? In school and out? Don’t teachers need to appreciate the culture they’ve chosen to embed themselves in? Whether Edinburgh or Stornoway. And I hate people who circle things in red pen. It ruins my day and makes me want to kick them. It’s too effing bossy. 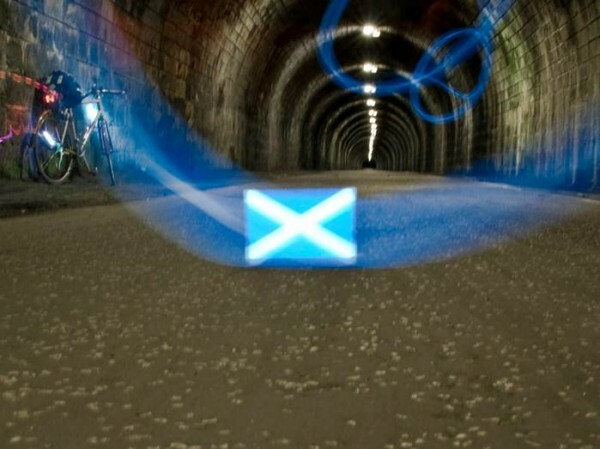 Great piece, chimes a lot with me – I often wonder how many of us there are in Scotland who are in the category of; Scots language by family and community, English by school & media and Gaidhlig because we learnt it! I love the word outwith and have had to defend it in the past as well. I have a very close friend whonis Norwegian and we got to talking about mother tongues. We found that a lot of Scots words are the same as in Norway – hame for instance. We did a wee experiment and looked at the Scottish Government website and compared the translations into Scots and Norwegian and found loads that were identical or pretty close. To me that showed that Scots is a language, not a dialect, and I’m pretty vocal about it. Embrace yer guid Scotch tongue an’ refuse to be silenced! Scots is far closer to Norse than English. A bairn is a barn. Hame is hjem. A hoose is a hus. Loup is lop, to run. Speir (ask: an old Scots word) is spor. Kvinne (woman) is quinie (Aberdonian). Breist (breast) is breest. A bra is a breistholler. (Breast-holder). A grandchild is a barnebarn (bairn’s bairn). It’s not just the words, it’s also the way the language works that’s the same as Scots; the mentality of the language. Has anyone compiled an English to Scots dictionary (as opposed to the other way about) so that foreigners might learn the language? Again, without such resources how can Scots ever be taught as a ‘proper language’ to those without the mither tongue hinterground? Decades ago someone produced a school biology textbook in Gaelic, admittedly it was something of an experiment at the time, pushing the envelope as they say, but where are the textbooks written in Scots? History might be a good place to start. Without such materials, Holyrood can legislate and earnest boards can write reports until doomsday, but there will be no real progress, only lip-service. One test case of whether Scots could really come back is the use of the word ‘gar’ (see Burns’s poetry…’Ah, gentle dames! it gars me greet’.). I don’t know how prevalent its use was but it translates into ‘to do or to make’ in modern English and covers some of the same linguistic space as ‘faire’ in French. It has equivalents in all of the Scandi languages and in Icelandic. Being such a basic sort of verb, to try to use it involves a real heidflip (made that up) but I think would progress the language and its use beyond simple substitution of Scots words for English ones. I don’t know if ‘gar’ is used in older Scots poetry or if its in Chaucer but its use is definitely worth thinking about. No it isnt. Its about as near to Norse as any other Northern English dialects across Yorkshire and Lancashire and Cumbria and Northumberland and Teeside and Tyneside. Its nearer to Norse than standard Modern English but its nearer to standard English than it is to any living North Germanic language. Middle English had a word ‘quean’ which probably went out of use because it came to sound the same as ‘queen’, but meant the exact opposite as it had developed a derogatory meaning. Nothing to do with Norse AFAIK. But there are in any case many Norse words in Standard English, almost anything in sk- for a start. “My children won’t have the vacuum of language that I experienced whilst standing on Downing Point, they’ll have the words for the exact composition of the ground underfoot and the weather brewing. They’ll have 50 words for rain, 100 words for earth, and 1000 words for the concepts that are uniquely Scottish”. Whoops, reality check … very few GME kids can hold any kind of nuanced conversation, let alone give you 50 words for rain. Great article and discussion! I felt bile rising as I read it (I was transported back to primary school in Glasgow and heard myself being scolded for using what the patronising teacher termed a “Scotch” word…. I had used the word “piece” to describe my “playpiece”, (my mid-morning snack), which consisted of a well-fired and well margarined morning roll yet also funnily ended up feeling sorry for the ignorance of your tutor. I’ve lived in London and various USA cities and never been questioned on the word. Ah scrieve sangs in Inglis an in the Scots leed, an Ah’ve ayeways fund the Scots tae be kin o leeberatin. Thair’s things Ah feel come oot better an mair richtly whan Ah use Scots – an it wis ma furst tongue afore Ah went tae schule. Ma mither wis frae Glasgow an kent mony a phrase that wisna Inglis, ma faither wis frae Orkney, an Ah learnt mair Scots oan the streets o Leith – sae Ah hid learnt a braw assortmint o wirds frae awgaits afore ma formal schulin stairtit. Ah wis lucky eneuch tae hae teachers frae aa pairts that nivver telt me Ah wis wrang, jist that Inglis wis easier tae unnerstaun nationwide an wis better fur gettin a job. Sae the Scots still lives in ma kist an tongue an ma “r”s birl oot like naebody’s business. Thair’s ane thingie Ah see as mair o a local (an modren) development tho, an that’s the drappin o the “t” in “thing” an ither sic wirds, fur exaimple “hingme” insteid o “thingme”. Certes thon’s no auld Scots onyweys, fur Ah nivver haurd it afore 1992 whan Ah flittit tae Glasgow, an Ah’d nivver haird it afore frae ony o ma Glasgow faimily (an Ah hae 65 year). Sairy, bit tae me it jist soonds a bit lazy. But apairt frae thon, Ah coudna agree mair. Whit we really hae tae dae is gree oan a form o the leed that kin be a kin o lingua franca version fur aa the nation. Afore we dae thon, we’ll hae problems haein a leeteratur (an law) in the tongue that awbody kin read an unnerstaund. Wha’s gonna be wantin tae hae tae deal wi 40 or mair dialects o the same leed, aa wi thair ane spellin? Ah’m no sayin aa the dialects shouldna be spoken, no a bit o it, thair’s much o irreplaceable value in aa oor dialects. Ah dearly loo the soond o Orcadian or the Borders tongue, an Fife an Aiberdeen hae some braw wirds tae be shuir. Bit ane thing that hauds a laund thegither is a leed that is identified wi the laund, that awbody kin speak thegither, an that kin be taucht in the schule usin the same buiks nationwide. Richt noo, thon’s Inglis. Bit, as mony hae pintit oot, it’s nae oors really (mind ye, Ah loo Wullie Shakespeare this side o idolatry, an thairs nae doot that Scots makars hae creatit maisterpieces in the Inglis tongue – bit thon gaes tae show jist hou clivver we are!). Ah’m aa fur the Gàidhlig tae – it’s oors as much as Scots – an hiv bin thinkin oan learnin it masel nou fur a lang while. Mibbes we coud be ane o thae launds like Switzerland whar aa the bairns learn mair than a single tongue! Speakin fur masel (Ah ken fine Ah’m speakin fur masel here! ), Ah’d be pleased tae see the return o Norn tae oor national leeds. Bit Ah think the first task is tae estaiblish a staundart form o Scots, an build up frae thair. Couldnae pit it ony better masel, Bob. Land and language are the two pillars of any nation. We have a Minister for land reform, though as Rob Gibson stated yesterday, and as maist o’ us weel ken, that reform is awfie weak, panders tae unionists, and needs to go much further. On the Scots language question, a single ‘official’ written version sounds like a sensible approach. With land and language being so critical, surely we need a Minister for Scots Language to reflect this importance? I believe we need a number of fundamental reforms in various aspects of scottish life (e.g. universities, law, business, energy etc), most of which remain essentially unionist-led/controlled and unionist driven/focused, despite an SNP administration at Holyrood. We will forever remain a colony in key areas (even after ‘independence’) unless we implement specific ‘Scottish’ solutions reflecting and respecting our society, especially in regard to language and land, though that is only a fundamental startpoint to comprehensive reforms required more generally. Thanks Gill, good to know. I had assumed Alasdair was primarily leading on Gàidhlig given the public resources and momentum appear (to me at least) far more evident in that area. My gran would say hingme. She was raised in Cupar, but moved to Embra when she married my grandad. He was from Kirkcaldy and was gey posh. My mum speaks posh edinburgh. I speak a funny mix of scots and English (did ye see how autocorrect capitalised English but not scots there?) with an American accent thanks to my dad and all my schooling in American schools. My boys work hard to preserve their scots while living in Chile. Uphill battle. Wonderful article. Thank you, both to Bella and the author. This is an important essay on the cultural effort to decolonize and in a real sense to seek the repossession of a lost culture. There is a text that was inspirational in my own education Decolonizing the Mind The Politics of Language by the Kenyan anti-imperialist intellectual Ngugi wa Thiongo in which he examines the role of language in the search for genuine sovereignty. Indeed in the text he announces his ‘farewell to English’ as a personal act of liberation. The antithesis of this act of redemption was the substantial efforts undertaken by the Edinburgh bourgeoisie post-Union who hired an elocution teacher (one Sheridan relative of the dramatist) who was paid handsomely to give the London- bound Union politicians an English tongue in their “Scots heid”. Great article makes me feel a bit sad abbot no hearing aw those bonnie words ma granny would say. Thole, hippin just a couple a remember. And ah was reading somewhere that the Spanish for remember used to mean to awake. Maybe that’s what’s happening in Scotland and Bella is doing a great job of initiating this important conversation. Tapadh leat /go raibh maith agat, I enjoyed your article..
As an Irish woman, glas meant green in Irish/Gaeilge to me growing up, as we didn’t use uaine. I’d like to drop a couple of links on you if that’s OK.
Those are the main pages for the “Uicipeid na Gàidhlig” and the “Scots Wikipædia”, where I’m sure you would find a warm welcome. I am not a native of Scotland yet I see a lot of myself in the things that you said Laura. French may appear as one unified language where regional accents have all but disappeared, yet each region is still rife with local colloquialisms which I still use around my family and which gave me the same wake up call when confronted with folks from other regions who had no idea what I was talking about. Immersion is the key to everything, that’s how I was able to “click” into English fluency one evening of July 1997 watching Sky News or how my Finnish went up in great leaps by being around a set of friends willing to just speak the language with me and not default to just English. It’s also why my Spanish and Japanese are nowhere near fluency. But I’m hopeful Gaidhlig will be different, if only there was more presence of the language in every day life both in the Highlands and the Lowlands. And I had no idea your kids went to TnP, what class are they in if I may ask? Been criticisided myself for the use of “outwith” in scientific papers, but managed to get it kept in. Also more recently managed to get an English paper to use the word “guddle” where it was the word that most appropriately described an activity there was no English word for. I’m Welsh/English, and I have always used the word “outwith”. I would have been astonished to have discovered it isn’t in the English dictionary… although, come to think of it, the only person on Radio I have ever heard use it is Jim Naughtie. On the rest of the article… very interesting, and three questions occur. I’m wondering if you have ever studied “ghost” Welsh – “Wenglish” – the English of the Welsh valleys, whose construction mimics and echoes the Welsh language on which it is overlaid (as in, for example, when someone asks your name, in English you’d say, “I’m Alan”, but in English you’d say “Alan, I am.” which is an exact echo of the correct Welsh construction, “Alan dw i”). Second, it’s interesting that you light on the word “glas” in Gaelic, bearing in mind how you define it as, effectively, not quite but almost two colours (as it were) because in Welsh, that same word – ‘glas’ – for centuries could mean either blue or green. Third, in light of that, I’m sure you must be aware that in Welsh northern England and southern Scotland are often referred to as “Yr hen Gogledd” – “The old North” – because, as I was told it anyway, those areas were until comparatively recently in linguistic terms Welsh speaking. One of the greatest medieval Welsh poets, Taliesin, apparently was born in Stirling. Anyway, a great article, and I even understood those parts written in Scots, a language with which I am entirely unfamiliar. Thank you! Iona-based Columba’s ‘Altus Prosator’ (‘High Creator’), written in Latin, may be the oldest extant Scottish poem (“outstandingly ambitious in its content” – Jane Stevenson). Hwn yw e Gododdin. Aneirin ae cant. A hyd orffen byd edmyg fyddant. Tru namyn un gwr nid enghysant. To defend their land, sad was their fate. Though they were slain, they slew. They shall be honoured till the end of the world. Gud thon was grand. I live in Derry where the Scots were ‘planted’ many centuries ago and to this day there are many of the words used in the article that are still in use today. I had few problems reading the Scots, mind you Disney is doing its best to eradicate them as so many children all speak with broad American accents…….drives me mad, my own grandchildren included! I highlight it as often as I’m allowed when my daughter-in-law isn’t about!!! She thinks to speak like the yanks is very modern and in outrages it…….I know, I know. Anyhow, here we still call our children the weans, we refer to thon, a piece is something you eat at your break time……there is so much of our vernacular here that is a mix of Scots and Irish……The Irish language itself is thriving here in the north. A child can be educated through the medium of Irish from nursery right through to third level…….yet it’s seems to be floundering in the ‘south of Ireland’……well RTE and the Irish Press would have us all believing that anyhow. Without going into the politics of the time….during the ‘Troubles’ when thousands of young men and women were in goal the time was used very effectively by educating the felons. Many left goal with degrees of various kinds and almost all left with an excellent working knowledge of the Irish language that went on to be know as ‘goal scoil’ due to the broad northern accents we have here. Enjoyed the article very, very much and it took me back to the language of my childhood, as others have already mentioned in their replies. Go raibh maith agat. I once put “outwith” in a medical textbook. The publisher’s editor took it out. An African mother once said I could pronounce her small daughter’s name [Hlupekile, H like ch in loch, k a click] because I am Scottish. [I am a doctor, she was my patient]. Gàidhlig, like broad Scots, is a language of the hert! Brilliant article, bytheway. For all it’s worth, I may as well add my anecdote to the list. I got a job in a museum in England, many years ago now. An early task they set me was to write an information sheet explaining what the museum collected and why, but also what they didn’t collect and why not. I set about explaining what kind of material was within the museum’s collecting policy. I then explained what material was ‘outwith’ the same policy. My boss was an erudite Englishman. He personally had no issue with the word, ‘outwith’, and agreed it was perfect. I think he even said it was a marvellous Scottish word, but explained that people won’t know what that means. “Use the word, outside”, he said. But that’s the wrong word, I retorted. ‘Outside’ means on the street, outdoors! He shrugged. I used ‘outside’, and added ‘outwith’ to the now long list of words I now know not to use if I want to be understood without question, south of the border. I realise I made it sound as if all trace of my Scots tongue has been removed from the back of my head, now that I live in England. That’s not the case! I still love to use words like stoor, and I still chap my friends doors to see if they’re in. The list of Scots words does exist in my head, but if I’m working with English strangers I keep things simple for them and speak to them in their own language. People like to accuse Scots of being a dialect of ‘Standard English’ but as this passage from ‘The Brus’ shows, Scots, with its own vocabulary, grammar and spelling was alive and kicking in the 14th century. Sen he him horsyt saw sa ill.
That ner the heid till the harnys clave. Perhaps of some interest to readers in this context would be the historical document known as the ‘Book of the Dean of Lismore’. As you will know it is a large collection of mainly Gaelic poetry compiled at Fortingall, Perthshire in the early 16th century. Of particular relevance to this thread is that the Gaelic was written phonetically according to ‘Middle Scots’ orthography. Note for instance the use of the ‘z’. One poem from the Book hails from my home territory of the Lennox (roughly Dumbartonsire, Loch Lomond, Trossachs area). The academic Michael Newton reckons the last native Lennox Gaelic speaker died only around 1950. A houdir so Duncha mor voe Lawenacht. An t-ùghdar seo Donnchadh Mòr bhon Leamhanachd. This author is Duncan Mòr from the Lennox. And who cannot speak fast, and yet cannot desist. Agis nach skurre di chrwt veynni is nach synni mir is meynni. Agus nach sguir de chruit bhinn, ‘us nach seinn mar as miann. And can’t cease the sweet harp, nor match aspiration with play. When and why did they change? Good job they did, reverted to traditional Gaelic spelling that is, which got gradually updated as the language itself changed. That way Scotland avoided the shock of a sudden drastic spelling reform such as that which happen in Ireland a few decades ago. Had the Dean’s spelling, which was I think based on the way Scots was written at the time, prevailed then Scots Gaelic would have ended up being written something like Manx. Ma tha beagan Gàidhlig agaibh ‘s dòcha gu’m bith sibh pàirt de na faclan a fhaighinn a-mach. Ach cha bhithinn airson na Gàidhlig a sgrìobhadh ‘sa leithid sin. The only article to which I have access which tentatively addresses questions such as why this orthography was used, and how widespread, dates from 1989. The article is entitled ‘Gàidhlig is Gaylick anns na Meadhon Aoisean’ and is by Dòmhnall Eachann Meek. It is contained in the book ‘Gaelic and Scotland: Alba agus a’ Ghàidhlig’, edited by William Gillies, published by Edinburgh University Press. In brief, Donald Meek suggests that the factors most likely at play were a) the precedent of anglicising Gaelic names by the clerical bureaucracy of a non-Gaelic Scottish administration, b) the extension of this practice to broader documentation, influenced by the prevailing prestige of Middle Scots, and c) geographical distance from the Gaelic areas of relative strength, eg Ireland, where normal Gaelic spelling convention prevailed [an orthographic convention with a millenium of prior history let me add!]. It should be borne in mind that “phonetic” spelling is itself a convention (note again the sound value of ‘z’ for example). What English-speakers generally mean by “phonetic” in relation to Gaelic is “Why isn’t it spelt like English?” That is of course what prevails regarding roadsigns throughout Scotland – Gaelic placenames written phonetically in English. The central problem is that these formulations have turned the names into gibberish for both Gael and non-Gael. That didn’t bother the authorities because the original Gaelic was barbarous prattle to them anyway – at least they now had something they could pronounce and comfortably write. When the names are re-Gaelicised on current (so often opposed) bilingual signage it can be quite startling and joyous to suddenly understand what was previously deeply disguised. Manx Gaelic, by the way, is unfortunately written according to the rules of bygone English. That has cut Manx off from potential Irish and Scottish readership (and vice versa). The SLC does state that “recent language legislation requires many public bodies to draw up plans for promoting Gaelic”. However there is no similar legal requirement to promote the Scots language, which appears rather discriminatory. So it seems that Minister Allan is promoting and legislating positively in favour of Gaelic (which is fine), but not Scots (hence not so fine), as others have already noted above. Mandarin is, in effect, the dialect of Beijing (the Northern Capital); but there is a single written (ideogram) Chinese. Foreign students of Mandarin learn first the romanised form of the script; most widely, Pin-yin. Great article that really spoke to me. I was delighted to see you use Dey. I have not met many people that know the word (I spell it Di). Once in primary school I was making a Christmas card for my Di and my teacher insisted on me writing Grandfather. I tore the card up saying, he wouldn’t know who it was for. Unbelievable for a teacher to be so insensitive. That was in Dunfermline in the 60’s. Aha! My mother’s grandfather (originally a fisherman from Lossiemouth) was always known as “Dey” and I never knew how to spell it: I suppose if forced to it, I’d have gone with “Dai” because at least people would vaguely recognise that as some kind of name, and would have some idea of how to say it, but it never came up. It’s rather too late now, but thanks for filling in a missing detail! A lifetime’s worth of material for Private Eye’s Pseud’s Corner. (£10 paid for all entries). I grew up with the word ‘outwith’, like the writer, not knowing it wasn’t ‘English’. My theory is that it is one’s accent that makes the difference. I have a Scottish friend who went to lecture (in his Scottish voice) in England, used the word ‘outwith’ and was met with blank stares. Another friend, Oxford-educated with the corresponding accent, lived in Scotland for many years before moving abroad, picked up ‘outwith’ and used it frequently in the presence of English-speakers from all over the world and there was never as much as a twitch from the audience. I’m sure because of his accent they just thought it was a very refined term they’d never heard before. 66 comments on the word ‘outwith’, 9 comments on the Paris Climate talks (aka the future of planet earth). My mind is blown. Howzabout you climb down off your high horse and actually READ the comments – they are ALSO about human survival. I see a discussion of language and identity but not of human survival. But please enlighten me. The point is, of course, that there are many ways to die. Chronic homelessness, joblessness, extreme workplace stress, abuse, and so on, can lead to a catastrophic collapse of internal meaning, self-worth, personal identity. As with individuals, so with societies, as we currently witness with masses of traumatised refugees. Language is a fundamental determinant of personal and communal identity. Imperialist regimes have long appreciated that. The late Brian Friel’s play ‘Translations’ is a brilliant critique of the remapping of Ireland by the conquering English Ordnance Survey. The Irish being dispossessed of both external and internal landscapes (as of course were Scottish Gaelic-speakers). John Montague, in his 1972 poem ‘The Rough Field’, speaks of “The whole landscape a manuscript/ We had lost the skill to read”. Many of my generation of Scottish Gaels could have written those lines. For the 1872 Scottish Education Act also mercilessly suppressed our own languages and insisted on teaching us as if we were entirely indistinguishable from ‘Home Counties’ offspring. The resultant sense of deep internal displacement is obvious on this thread. Occasionally I try to imagine what it would be like to be an educational product of the Home Counties. The language of the home, the school, the media, the government, the world indeed, the same. The very register of language the same. I don’t envy it. I just wonder what it must be like looking out from within it. Those of us who are “outwith”, are better equipped to understand the words of Lucien Bouchard, one-time Canadian ambassador to France, when he said: “Pour nous, Canadiens, la Francophonie n’est pas seulement une façon de vivre – c’est une façon de SURvivre”. Also François Mitterand’s comment: “Un peuple qui perd ses mots n’est plus entendu de personne” (“A people which loses its words is no longer understood by anybody”). With Philipe de Saint Robert’s rejoinder: “Et par malheur ne s’entend plus lui-même” (“And which sadly no longer understands ITSELF). So the pressing existential question which remains for French-speakers is how to secure the future of their language on the North American continent. I am strongly of the opinion that the “tsunami” of anglophone globalisation is, as far as the future of human consciousness is concerned, not entirely benign. Global Corporate Media inculcated social-uniformity reprsents a form of thought-control exploitable for both economic and political goals. Human consciousness is in danger of being tamed and manipulated. A compliant narrative of what it means to be human induces somnambulance. Those of us who use the internet as a deliverance and a resistance are increasingly aware that our time is limited. Languages are not decorative bunting. Languages are not interchangeable. Translation is, strictly-speaking, an impossibility. Each language is a unique articulation of reality – not just a matter of different nouns and adjectives, but of the carving up of time into different tenses, and the dynamics of engagement with objects, people, self. Each language is a torch thrust into the unsettling night of human existence. Each language is a resistance against, and an escape route from, the mental and social Alcatraz which reductionist globalisation threatens. And Scotland has stewardship of two of these ontological treasures. But we have not done well by them. Here they once lived and here they now die. Yes, let us learn Polish. Yes, let us learn Mandarin. Let us rejoice in them and any other language we fancy. But they will always be dependably ripe fruit hanging over our garden fence for us to enjoy. Because the robustly healthy trees themselves are firmly rooted in neighbouring soil. Their survival guaranteed though Scotland perish. Not so with our own languages. If we let them die, our loss is humankind’s loss. The night closes in because of us. “The purpose of Newspeak was not only to provide a medium of expression for the world-view and mental habits proper to the devotees of Ingsoc, but to make all other modes of thought impossible. It was intended that when Newspeak had been adopted once and for all and Oldspeak forgotten, a heretical thought – that is, a thought diverging from the principles of Ingsoc – should be literally unthinkable, at least so far as thought is dependent on words. Its vocabulary was so constructed as to give exact and very subtle expression to every meaning that a party member could properly wish to express, while excluding all other meanings and also the possibility of arriving at them by indirect methods. This was done partly by the invention of new words, but chiefly by eliminating undesirable words and by stripping such words as remained of unorthodox meanings, and so far as possible of all secondary meanings whatever. When you speak to other Europeans, they seem on the whole very open to other languages, when they encounter them they are interested and begin to learn. When a famous climber was once asked why he wanted to climb a particular mountain, his only reply was, “Because it’s there!” I find languages interesting “because they’re there”, but clearly most English speakers simply don’t. How is it they lack this curiosity to understand others and communicate with them, which in most times and places is seen as entirely natural? You ask how it must be to grow up near the centre of ‘Englishness’ in say the home counties. The picture that came to my mind was of someone living under a constant bright light, a light that obscured everything beyond its glare, so that the wider world passed unnoticed and disregarded, as if it were unreal, outwith the constructed self-centred imperial reality. The worst part of this condition is that its sufferers are oblivious to it. A sort of cultural colourblindness. When you try to explain to them the harm they’re doing, by for example disrupting existing communities, you come up against a blank wall. They seem indeed to have an Orwellian inability to comprehend what you’re saying, they simply lack the concepts to grasp that there may be other languages and cultures and ways of conceiving the world than theirs. And the worst part is that they can be otherwise good intelligent progressive, even radical people. Ready to set off to save the whale or donated relief for some distant oppressed tribe or nation, yet oblivious to events on their own doorstep. Familiarity, I suppose, breeds contempt. A passionate response which expresses the fragility of language and culture. And since you clearly appreciate that fragility, it leaves me confused as to why you would want to sleepwalk into an environmental catastrophe which endangers not just plant and animal species, but human beings, their cultures and languages. All languages are tied to the land. When human beings can settle and eke out an existence on the land they can then start to develop a language and culture which builds over time. So Gaelic is a product of the Gaidhealtachd. But culture and language are delicate, thin veneers which we place on top of our lives and are therefore easily disrupted as you so eloquently expressed above. If you go to the website geology.com you’ll find a sea level rise map. As you add metres of sea level rise the map adapts to show how the coastline changes. If you take a look at the western isles you will see that North and South Uist are extremely susceptible to sea level rise. Be in no doubt that these islands WILL become uninhabitable over the next 50 to 100 years. And these shocks to land, language and culture will be replicated a thousand times across the globe. The Marshall Islands, the Maldives, Bangladesh, Miami, Amsterdam etc. etc. Maybe you say to yourself ‘well it doesn’t matter to me, I’ll be long gone by that point’. But I sense from your comments above that you care passionately about culture as an ongoing project, adapting and enriching over time. I merely suggest that you switch your focus from defending a language and culture, to defending the planet that supports all languages and all cultures. Thank you for your considerate response. Slightly concerned some might assume I have disputed your ‘rising sea-level’ admonition. My issue was with your apparent view of language and culture in relation to human survival. I have a particular affinity with the Netherlands. It is evident that the rise of only a couple of metres is a thoroughly grievous prospect. I can well understand your impatience and frustration over this matter, and am positive about having (if obliquely) provided you with an opportunity to further inform. Yes, the Rijksmuseum, Stedelijk, Van Gogh museum and Concertgebouw could all be gone soon. Very sad. Mathew, you are making the mistake of comparing apple and oranges. 9 good and considered comments on climate change I think is fine as it is a complex subject beset in political and technical fog. Paris shows that a clear and coordinated way forward is not yet here. 116 comments based on the writers’ life experiences related to a fundamental human attribute, such as language, should not be a surprise. At least it is not a surprise to me. A topic of life long importance such as language produces considered and heartfelt responses, as we see here. My hint to you is not to compare apples to oranges, it is the road to unhappiness. Humans are capable of multitasking, taking an interest many topics, even climate change and, well, language. Many people, like myself, are convinced that climate change is of critical importance but my thoughts on the topic are unclear to say the least. The solution must be global and is, for me, beyond complexity. For me to refrain from commenting on it does not show a lack of interest on my part but a lack of clarity in my thinking. I would not wish to harm the quality of comments in Bella by making a contribution to the debate that was, in fact, not a contribution but a distraction. I do not wish the comments in Bella to descend to the level of the tabloids. In your comment you state that the article is about “the word ‘outwith’”. That is using a trick of the tabloids to demean the debate and thus the topic of the debate. I do not offer comments on climate change as I may demean the debate and I suggest you follow my example by refraining from commenting on subjects of which you have little understanding and most importantly, little empathy. The wonderful thing is that your “distraction” produced insightful responses which , in my opinion, saved you from being consigned to commenting only in the tabloids. All I ask you to do, in future, is to respect Bella and her readers . It is very nice to see all three languages used together in the one article. They compliment, and flow into one another beautifully, and should not be seen as competitors. Math ga rireabh! Well done, hen! A good article, very enjoyable and interesting. Lots of thoughts after reading that. Great that you are giving your children the chance to be bilingual. I am doing the same, with German and English. “Without” reminded me of something. My children had problems with the word “without”, in German with = mit and without = ohne, but they used to say in German “mitohne” when they wanted to say ohne, “bitte mitohne zucker” . It passed but caused funny confusion, they go through a phase of mixing the two languages. Now they have started French at school, at 8 years they start the first extra language, then with 10 school English. They are fascinated by languages. I think languages taught in school from 11 years are done very badly in Scotland, they need to start earlier, they need to offer more Gàidhlig medium education. For me immersion learning Gàidhlig at SMO was the start of my language journey. After that I had confidence that I can learn languages, I learned wherever I went, I lost the fear that people would laugh at me, that it was impossible, that me from a housing scheme could not do languages. I’ve been lucky that i have had the chance to work around the world and learned Portuguese in Brasil and Angola, Arabic in Darfur, South Sudan and Tunisia, French in DRC and Chad, German in Switzerland. Somehow it all came easier after Gàidhlig, there are advantages to Gàidhlig in that it is so different to English, that it has features which exist in other languages eg Cases in Arabic and German. I speak to my children In Gàidhlig sometimes, just to teach them some phrases, and this year for the first time they went to a Fèis, which is I think one of the most fantastic opportunities, they learned great tunes, tried new instruments, learned a Gàidhlig song, and a smattering of Gàidhlig after only one week. I sometimes see the anti-gaelic twitterers moaning about Gàidhlig, I think if they don’t like something why don’t they turn that into something positive? campaign for something, I am sure that some parents would be interested to send their children to a French or German medium school for example. Thanks once again for the article to the author and to Bella, thought provoking. I wonder just how much of the fear and inhibition you had to overcome can be traced by to the Tyranny of Teacher’s Red Pen? The phenomenon of English speaking monoglots abroad is an interesting one. They form groups wherever they go – not learning the language and not integrating at all. I usually end up in integrated group with the local people and the kind of things that are said about the non integration of English speaking monoglots are quite strong. I sometimes wonder if the “English is a global language there is no need to learn anything else” crowd understand this. I heard a theory once in Africa that English speaking monoglots did not try because we grew up with a feeling of superiority (eg thinking about when our politicians say “Foreigners”) and we did not want to be laughed at or show our lack of ability, so its easier to stick with English. I thought his theory was a bit overdone, but with some truth in it. Doon here in Lunnon, it great to read of the Lallans and the Gaidhlig. I only speak and read english English (which is a wonderful language). My family the Thomsons are Lowlanders from Dumfies and Galloway, my mither’s fae Glasgow (which I now see is greenish-grey in colour, not merely grey or as I remember it many years ago sooty black). I write to ask if there is a dictionary of Scottish and is Lallans (Lowlands) correct as a description. I just loved this! I remember as a child growing up in Cockenzie being worried about an essay I was doing for homework. I wanted to say that the boat had capsized but that seemed such odd word that I thought it couldn’t be proper English so I went roundabout and said the boat had turned over in the water. When the essay was returned there was the comment ‘Use capsize!’. It’s great to see Scots being given its place though I’d need to re-immerse in it before I could say aa lot. Siever is another word which automatically comes into my head and I struggle every time to find the English equivalent. As for Gaelic, well I’m a slow learner! But it’s always lovely to see the connections. We’d always say ‘the day’ instead of ‘today’. The other examples quoted above ring bells with me too. Many thanks for the article I’m printing it off for friends who enjoy it too! I watched this discussion by the Cross Party Group on Culture at the Scottish Parliament discussing the Scots language- well worth the investment!! It starts with a video by Education Scotland (which is better watched here: http://www.educationscotland.gov.uk/video/h/historyofscotsvideo.asp?strReferringChannel=educationscotland&strReferringPageID=tcm:4-615801-64&class=l1+d86716) but after that there are some fascinating readings and discussion by ‘the high heid yins’ of Scots language activism. Intriguing, but I don’t see any links – anyone know where they are? September 2015: part 1″ . Hopefully nothing can go wrong with that! The same is true from the other end of the lands, down in the Gulf of St Malo in the islands that are my true home. We may speak English, but it’s an English that’s filtered through a thousand years of native speakers of a peculiar Norman-French dialect that places us Jerriais and Guernsiais closer to Caen than Weymouth. We give things gender, we speak fast and finish each others sentences, all of which are a question, eh? Our diaspora took us west, to Newfoundland and the Gaspe and much of our way of speech echoes back at me from Canadian voices. – Gaelic language is required by law to be promoted by public bodies, whereas Scots language is not. Government policy on Scots Language so far largely amounts to appointing a few Scots Language Coordinators and Development Officers and offering an optional ‘award’ on the history of Scots language. What we really need is Scots language teachers and a National Qualification in every school (where Scots is spoken locally) as a legal requirement. We might then begin to think like other ex colonies, e.g. Singapore, where they teach English as an ‘Administrative’ language, but they also require all pupils to learn one of the three indigenous national languages, in their case Tamil, Mandarin or Malay. This requirement does not seem to have adversely affected the economy of Singapore, rather the opposite. Scotland should give our people a similar language choice – i.e. to learn English and Scots, or English and Gaelic. At the moment it is only English and Gaelic (optional), but no Scots language. That is discrimination. I would add a further major difference between public policy treatment of Gaelic and Scots languages, and that is the public money put into them. As a colleague in the Flanders Transport Ministry used to say to me, “if there is no money for it, there is no policy for it”. So although ostensibly there appears to be a Minister for Scots Language, there also appears to be rather an absence of policy or resources. It appears Minister Allan has been rather more a Minister for Gaelic Language than for Scots Language. What he and the SNP Government should/could have done long before now is introduce a Scots Language Act, much like the one outlined below for Gaelic Language passed in 2005 (albeit with a stronger teaching obligation). Perhaps not a shock that the Ministers own constituency is the Western Isles. Whit aboot a ‘Scots Language (Scotland) Act 2016’, Meenister, tae gie oor Scots language “the same respect as English in Scotland”? Hows aboot gien “the status of (Scots) as an official language of Scotland commanding equal respect to the English language”? •to monitor the implementation of the European Charter for Regional or Minority Languages, and report the findings to the Scottish Ministers. This Plan meets the Act’s requirement for a revised Plan to be submitted five years after the first and it clearly identifies the main priorities for Gaelic and where available resources should be directed. The Plan includes proposals for the promotion of strategies for increasing the number able to speak Gaelic, encouraging its use and facilitating access to Gaelic language and culture. It includes priorities that other bodies and authorities should have regard to in respect of Gaelic matters and the preparation of Gaelic Language Plans. One place to read English written in a Gaelic style is the work of Neil Munro. It shows in the Para Handy tales but especially in his novels where there are significant differences in how characters speak English. I find it makes English far more lyrical when written in this style. Neil was brought up in a Gaelic-speaking household & I am sure at his time, Inveraray would have many Gaelic speaking people. Many thanks to all the native Gaelic speakers for sharing some of the words. I often speak of the special light Scotland has and now I have the word to describe it, glas. I was surprised to read that someone thought ‘outwith’ was Not Proper English because as a barrister qualified to practise in England and Wales (not, because of the separate legal systems, Scotland!) I see that word used all the time. Curious, I ran a check, searching for ‘outwith’ in case reports on Westlaw. I got about 6,000 hits. Thinking that this might include old usages (the imported judgments on these databases go back literally centuries) or cases from Scotland I tried again, excluding all judgments that even mentioned Scotland and limiting the search to just the last 3 years. I still got 380 distinct case judgments, and looking at a sample of them in each one ‘outwith’ was used in the sense you describe, which is the sense I understand it to mean. Outwith is a Scots word, but any suggestion that it’s not used in English or that it’s somehow not ‘proper’ down here should be sent packing. Yet as I type this my computer is putting little red lines under every use of it. I have just clicked ‘learn spelling’ and anyone else with a computer trying to complain about it should do the same! Another similar word I’ve encountered in official documents, in Scotland I admit, is ‘leat’ meaning a ‘short-list’ as of candidates names for interview etc. I wonder if you’ve ever come across it during your legal endeavours? And I have to say the comments are a revelation. I usually don’t “read below the line” but I’m glad I did on this occasion. You have inspired me to get on with learning my own mother tongue! High time! Ma faither spake only Scots in the hoose bit hud the Inglish fur aze work. His mither in faither wir monoglot Scots, couldnae spick the Inglish ava. A mine ma grannie offin haein tae gar me ‘translate’ whit she wiz sayin tae some monoglot Inglish speaker, yazeyally some young coonter clerk ur shoapkeeper whin she wiz oot gettin her messages . We spake Scots in the hoose an in the skale playgrun bit hid tae spick Inglish in the classroom. A thocht in Scots until A wiz aboot fowerteen. Coorse, A’m yazein the word ‘Scots’ tae jist mean the langitch we spake atween oorsels, natrally, naithin mair thin that. (Rural Perthshire 1950s and 60s). “Left them wi ir man.”says he “Pair Wullie.” says I.
Gran: “Weel A’m awa ben the scullery tae mak a cup o tea. Efter yon, A’m needin yin an A’ve a fell drooth on me efter gettin the messages onywie. Are ye wantin yin an a? It wiz amaist izif they wir readin oot a novel. Chic…you used the word ‘gar’ in your excellent Scots prose…did you or your parents use it at home or have you learned how to use it to write Scots now? Very interested in your reply!!! I cannot honestly recall an example where I used the word ‘gar’ myself way back then. However my grandparents used it frequently and my father quite often. From the context, I took it to mean something like ‘to make’ or ‘strongly urge’. On reading your excellent article I too was surprised by your lecturer’s initial reaction i.e. not in the least interested in learning about a word he didn’t know but rather, ‘Sorry Laura, there isn’t such a word. I’ve never heard of it.’ He hadn’t heard of it so it didn’t exist. Outwith is certainly listed in The Concise Scots Dictionary, but for ‘glas’ one is referred to ‘glass’. The first kingdom of the Scots was Argyll (Earra-Ghàidheal) and north-eastern Ireland (Dál Riata). The people first called Scots (by the Angles of Northumbria, c. 900) spoke Gaelic – and so did the last Pictish kings. It follows that Scotland’s founding language was Gaelic. Why therefore are schoolchildren in Argyll schools still being taught that the Scots language is the tongue brought to Scotland by the Angles of Northumbria in the 7th century? That should not be allowed by the Scottish government. Seekers after the truth should read ‘Were the Scots Irish?’ online. Do you have a link to ‘Were the Scots Irish?’? If you like, scroll down for An Alternative View. Look all this “the Scots were/are Irish” business is kinda true but also misleading. Look at it like this, you have/had four grandparents, and in all likelihood eight great-grandparents and so on back through the generations. But only one of those four, eight, sixteen … gave you your surname. Yet they all contributed more or less equally in your make-up. Likewise Scotland as a geographical/political entity was formed from the union of Picts and Britons and Scots and Angles and a little later quite a few Norse, and that’s only counting the groups with enough political clout to get a mention in history. The country happens to be named after the Scots (from Ireland) although the majority language is now that of the Angles (from Denmark/Fresia), but all five peoples and more contributed to what is now ‘Scotland’ or ‘Caledonia’ or ‘Alba’. So it’s actually rather a good historical basis for the sort of inclusive nationalism that I think most of us desire. And in any case, everyone came from somewhere else at some point in time. Even the Picts and Britons were once immigrants, although only archaeology and linguistics can suggest where they might have come from. And they were by no means the first people. Scotland being at ‘the end of the world’ before the time of ocean voyages, meant that each group that arrived piled in on top of those already present, since there was nowhere else really to move on to. But, and this is the key point, the society, culture and languages we have now all carry the mark “Made in Scotland”, wherever the raw materials might once have originated. Quite likely, but where is the archaeological evidence that the Scots came from Ireland? If you had taken the trouble to read the link I provided you would have discovered that it has been written by an archaeologist. He cannot find archaeological evidence that the Scots came from Ireland. On the contrary, the evidence points in the opposite direction. As for linguistics; Peter Schrijver, Professor of Celtic Languages and Culture at the University of Utrecht suggests that Gaelic is really part of British Celtic. The closest cognate of Irish is British Celtic, or rather Highland British Celtic, the ancestor of Welsh, Cornish, and Breton that was spoken in the west and north of Britain. He suggests that Irish may have been brought to Ireland by British refugees fleeing the Roman advance. You may care to read part of one of his books online (Language Contact and the Origins of the Germanic Languages). Forget the Picts Ewan. Over the last thousand years or so Scotland’s language of today (i.e. Scots) has been very largely influenced by our trade and travel with the European continent than with what was an impoverished Ireland, or an expansionist and hostile England. The continent is where Scotland’s trade, laws, religion, and aye maist o’ wir language wis brocht fi. Remember also that for much of this time and even today the majority of the population of Scotland was located along the east coast facing the continent, not the west coast facing Ireland; look at the dozens of historic port cities and towns all the way from Berwick to Kirkwall. compared with the west coast pre 1800’s. Some of my own ancestors are from Norway, and my wife’s are from what is today The Netherlands. The excessive dominance of Scotland’s trade today by England is a relatively recent phenomenon, largely as a consequence of UK motorway developments since the 1960’s. Prior to this the dominant mode (of trade and travel) was by ship to the continent from Scottish ports. Similarly, the Anglicisation of our language is also a recent phenomenon, courtesy of the BBC in particular. AFAIK there is no evidence of Q-Celtic (i.e. ‘Gaelic’) in Britain before or during Roman times, and it would have shown up in Place and Personal names. If Ireland had been populated from Britain at this time, then Irish would resemble Welsh and Cornish, or their P-Celtic precursor. Whereas in fact, Irish is a less derived version of Celtic, i.e. you can get British from an earlier language similar to proto-Irish but not the other way around. In fact it’s much easier to argue that languages like British or Pictish were once spoken in Ireland, and that the Irish were relative late-comers from somewhere in Continental Europe, just as their legends say. In fact they pinpoint Spain, the only place where any other forms of Q-Celtic (Celtiberian etc.) is known from. But in any case it’s all just arguing about timetables. The Celts as a linguistic and cultural group are a branch of Indo-European, which can be traced back to somewhere near the Black Sea, so everyone is an immigrant. Or do you believe that Scots evolved in Scotland from seals or grew out of the rocks? Shouldn’t we revert to calling Scottish Gaelic ‘Scottish’ and broad scots ‘Inglish’? Without the Scottish (Gaelic) language Scotland (the land of the Gaels) would never have been. Yes we should. Either that or Scots Gaelic and Scots English.